It’s time to recap one more Iron Chef cooking competition. 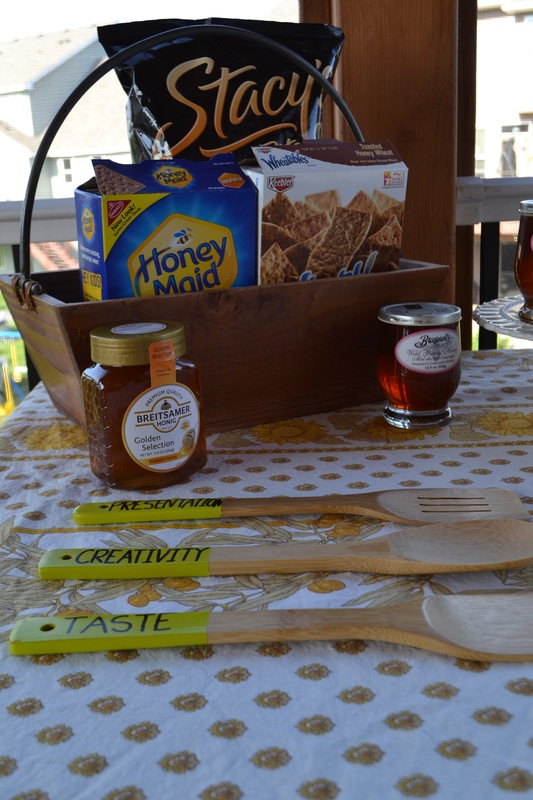 (For previous Iron Chef recaps, see here) This time, our secret ingredient was “Honey”. I must say that everyone took the competition to a whole new level, and seriously brought out the big guns. Everyone was much more competitive, the presentation was truly Iron Chef level, and the best of all, the food was delicious! Another big highlight from this competition was the effort people put in naming their dishes. A big miss from my side, everyone took the time to come up with interesting names for their dishes. Sameera, my sister, won again (she won Iron Chef Vinegar as well) and gets to keep the prized trophy spoon. Competitive that I am, I must admit I was a little disappointed given the amount of effort I put in. I will be sharing the recipe for the winning entry in a separate post. Linked below are recipes I used for my dishes where I made a few modifications to amp up the Honey. See pics of all the entries below! how creative and what fun! The iron chef competition sounds like it was alot of fun!! !